Recognises and facilitates the Right of Return for Palestinian refugees, enshrined in UN resolution 194. We also coordinate nationally to put on weekly actions and events for the Bir Zeit University led Right to Education Week and Israeli Apartheid Week. 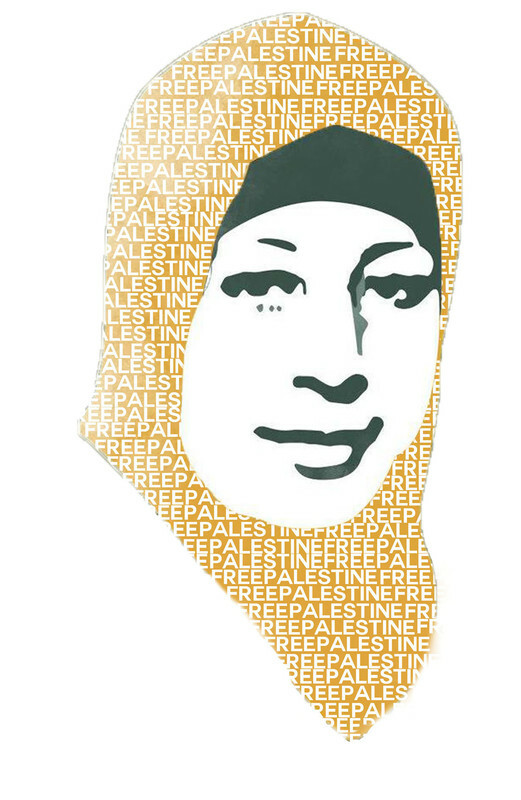 Taking the lead from Palestinian Youth activists we felt a great need for international solidarity with the prisoners and particularly Hana Al-Shalabi who had emerged as the new leader of the prisoners with her brave hunger strike which other prisoners had begun to join. With this aim we took both our inspiration and name from Hana Shalabi and begun organising demonstrations and marches. First were in Glasgow aimed at the BBC for their complicit silence then as the thousands strong Karamah strike began we took hundreds to the streets of Scotland’s capital Edinburgh where we marched to the Scottish Parliament demanding they: call for the immediate release of the administrative detainees whose lives were in danger, call on Israel to respect the demands of the dignity hunger strike and divest from Israeli companies and complicit international companies such as G4S. We embarked on a massive postering campaign which saw the faces of Hana Shalabi, Bilal Diab & Thaer Halalheh appear all over Glasgow and Edinburgh to raise awareness of the Palestinian prisoners. In partnership with Palestinian youth we also helped several global solidarity initiatives via social media including 1 day global hunger strikes on through facebook and trending campaigns through twitter. Khader Adnan’s victory, Hana Shalabi’s bravery and the mass Karamah hunger strike has led to a new generation of youth in Scotland to become active in our modest supporting role in the Palestinian resistance. For this reason, we voted to keep the name, this blog & social media profile We Are All Hana Shalabi as the name under which Scotlands student movement for Palestine operates and publishes our campaigns, events and victories from. We will keep the prisoners issue alive in all we do but will use this medium to communicate our other areas of campaigning and activity including BDS campaigns, protests, cultural resistance & educational events and blogposts from our student delegations to Palestine. We will also publish articles of in-depth analysis and guest articles from our comrades in Palestine and in exile. We will work closely with all Palestine solidarity groups in Scotland and beyond and hope to play our role within Scottish civil society following strong principles of non-factional, non-sectarian movement building. We stand also in Solidarity with all the Arab peoples in their struggle for freedom, democracy and liberation from the forces of imperialism and with all oppressed and resisting peoples across the world. Your fight is our fight. We are Scotland’s student movement for Palestine. We Are All Hana Shalabi. Hi….have you got amy more demos planned? NATIONAL DEMONSTRATION: March for Gaza – End the Massacre! End the Siege! Assemble Donald Dewar Statue 12pm to march to the BBC. Israel’s attack on Gaza has already killed over 100 Palestinians and a ground invasion is imminent. The people of Gaza have been under a brutal siege for 7 years, which contravenes their human rights and international law. The BBC’s coverage of the ongoing massacre in Gaza has been disgraceful as yet again it has shown its blatant Israeli bias. Last Saturday, over 1,000 people marched in Edinburgh to demand that the Scottish government condemn Israel’s aggression. We must escalate our actions and march on Sunday for an end to the massacre, an end to the siege, and demand that the BBC ends its complicity in war crimes! Bring flags, banners, and loud voices!